Get your Wine Walk Tickets before they sell out! Who's ready to Burn for the Bubbly?! Passing through Visalia on your way to the mountains? We welcome residents and visitors to experience Downtown Visalia. Start your day downtown with breakfast at a charming cafe. Next, stroll the scenic streets and visit a museum or art gallery. Unleash your shopping impulses at our locally owned or managed retail stores. Make memories attending a festival or event. Receive valuable services from our downtown professionals. Find adventure with a day trip to nearby Sequoia National Park or Kings Canyon National Park. 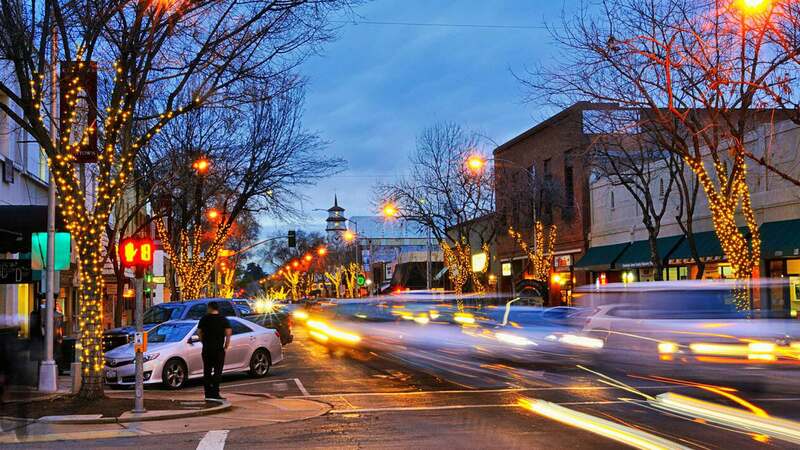 After a day of activity in Downtown Visalia, enjoy our vibrant nightlife. Downtown Visalia is a hot spot for young and old alike. Visit a trendy restaurant to enjoy eating & drinking with family and friends. Take in some fabulous live entertainment or a night at the movies. An ideal stopover for bands traveling between Los Angeles and San Francisco, Downtown Visalia hosts nationally known talent. We also have phenomenal local talent playing at downtown venues. When you’re ready to drop, sleep well at one of downtown’s elegant lodging destinations with plenty of free parking. With so many things to do in Downtown Visalia, you won’t have to seek adventure elsewhere. Haven’t been downtown lately? Want to see what you’ve been missing? Visit our photo gallery of events.